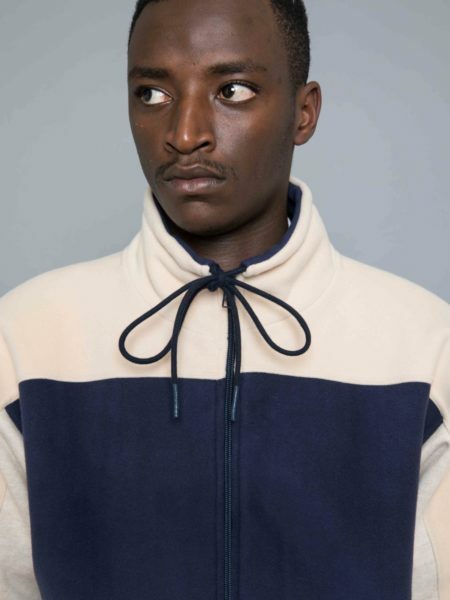 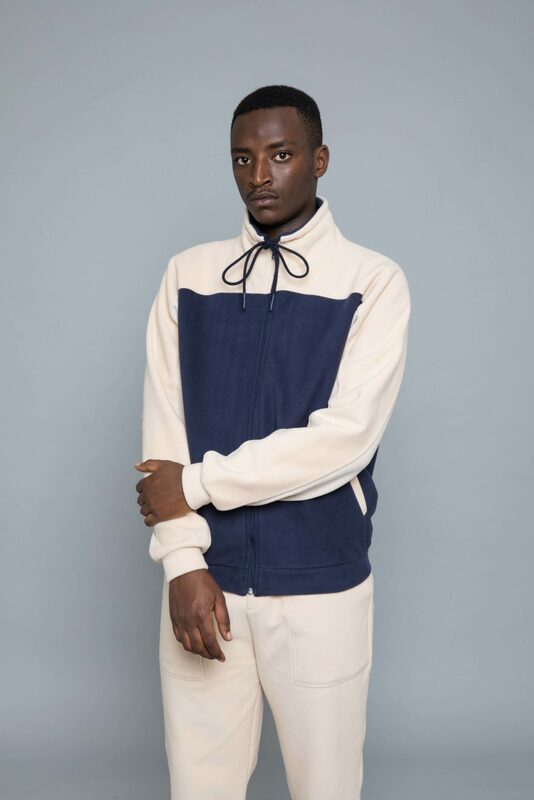 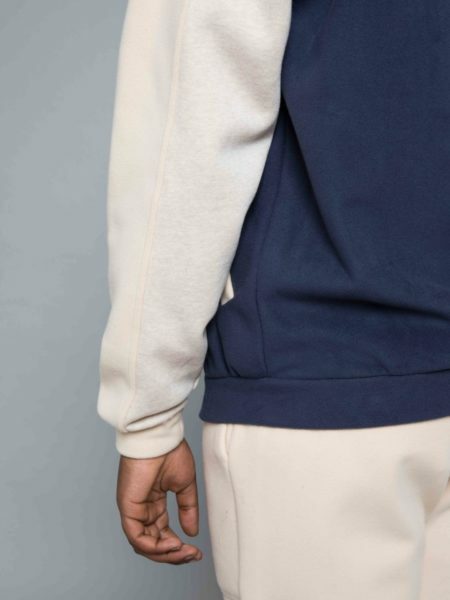 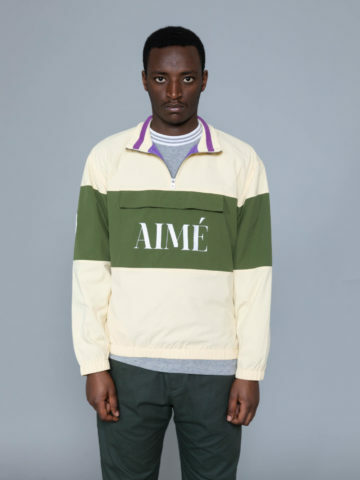 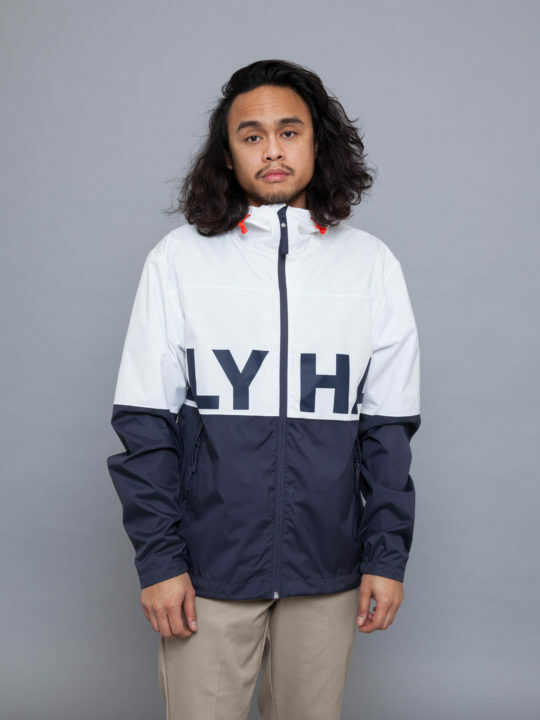 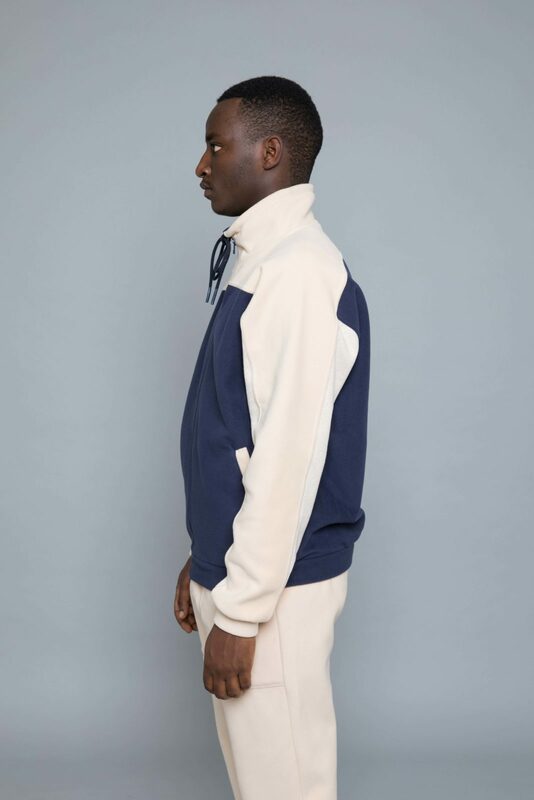 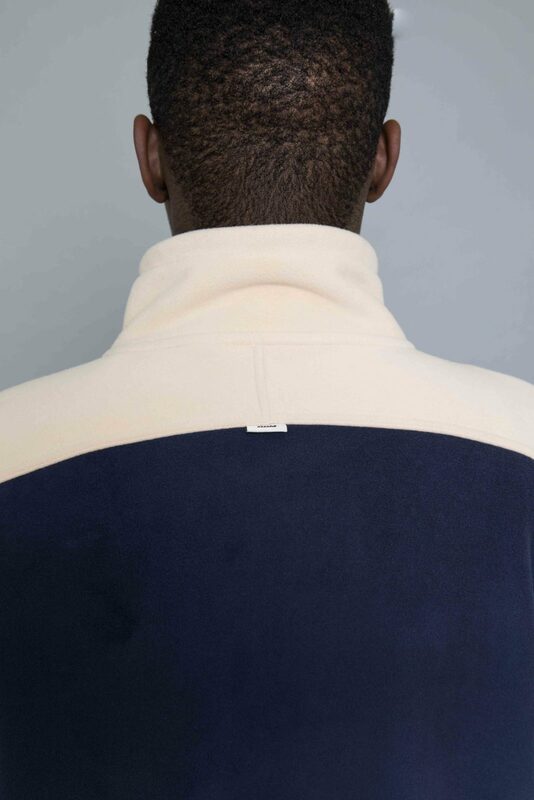 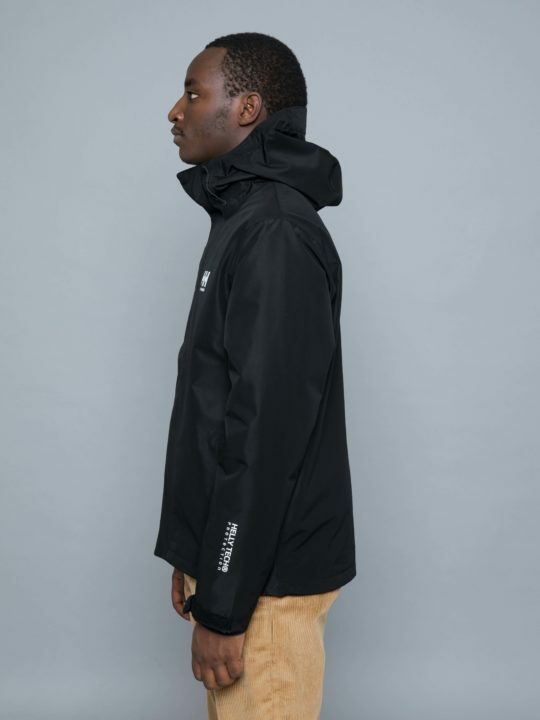 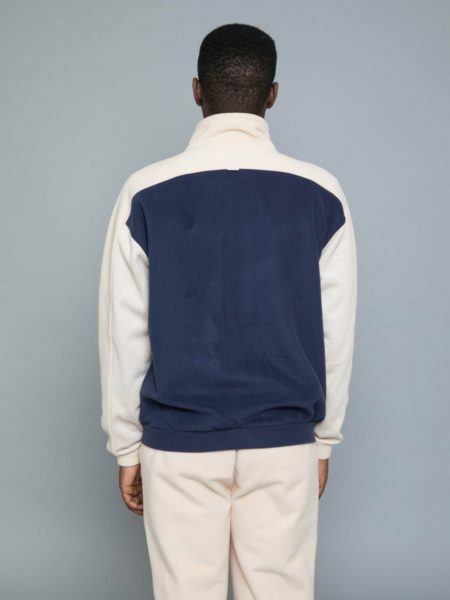 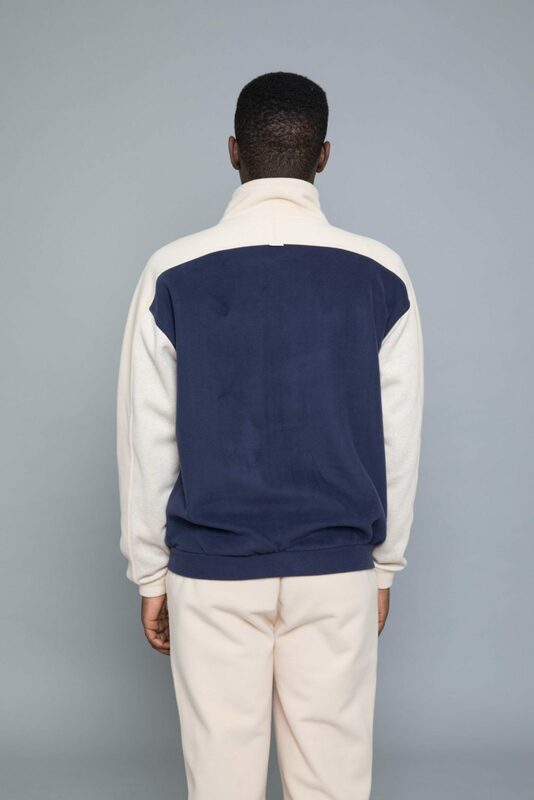 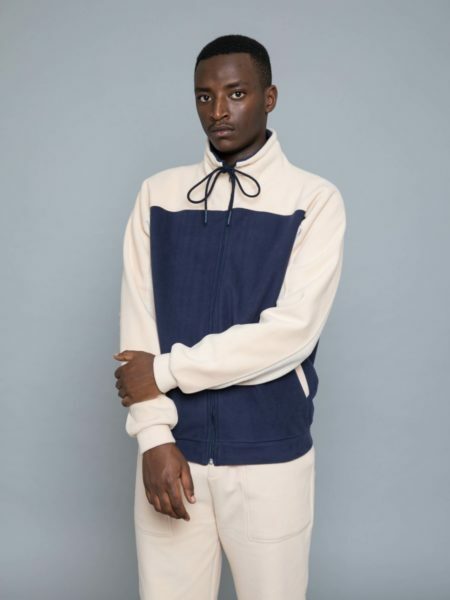 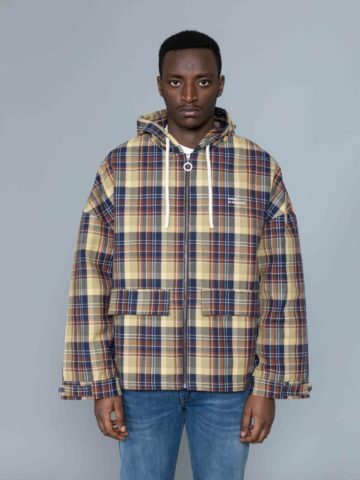 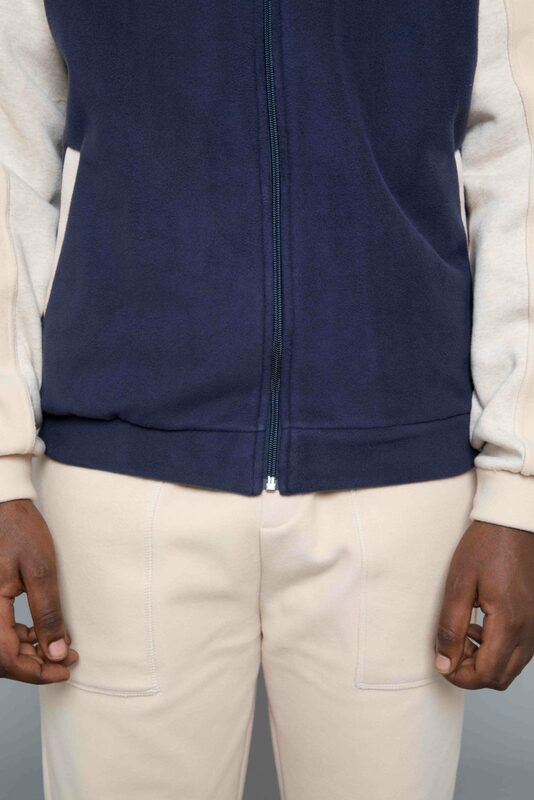 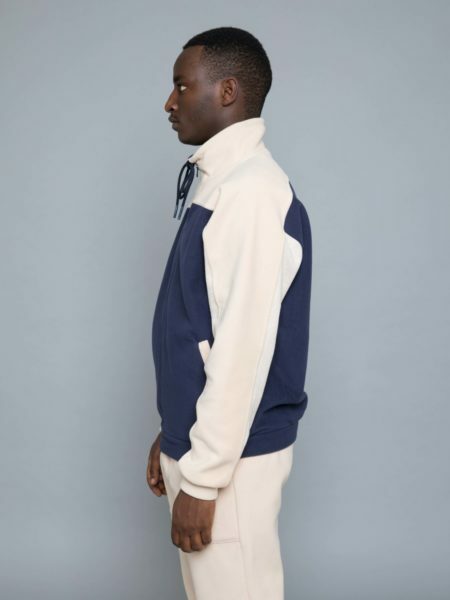 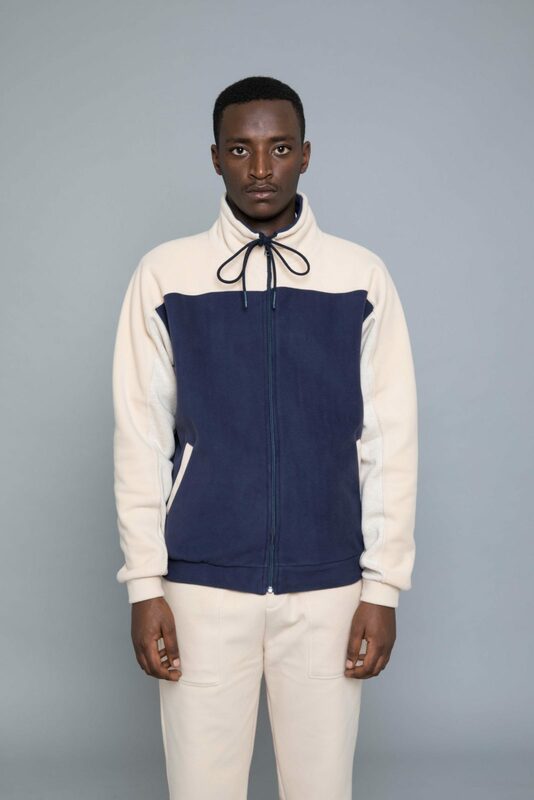 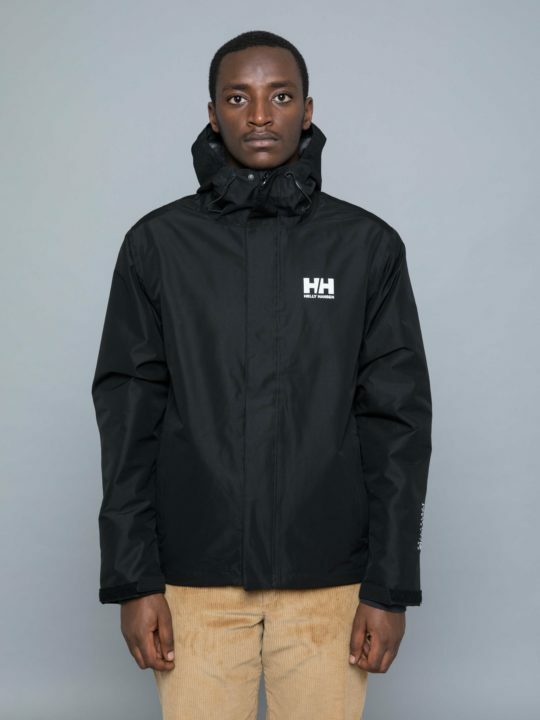 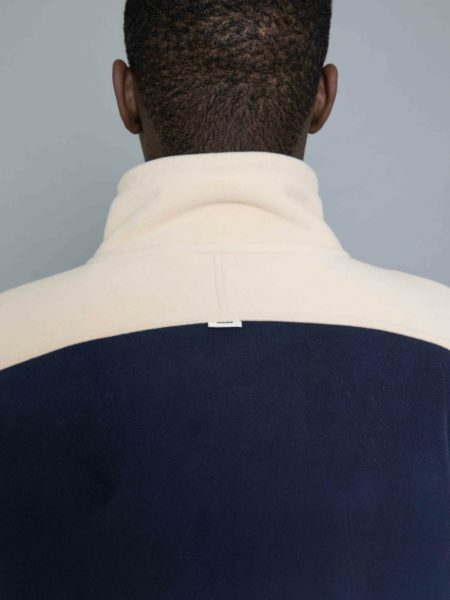 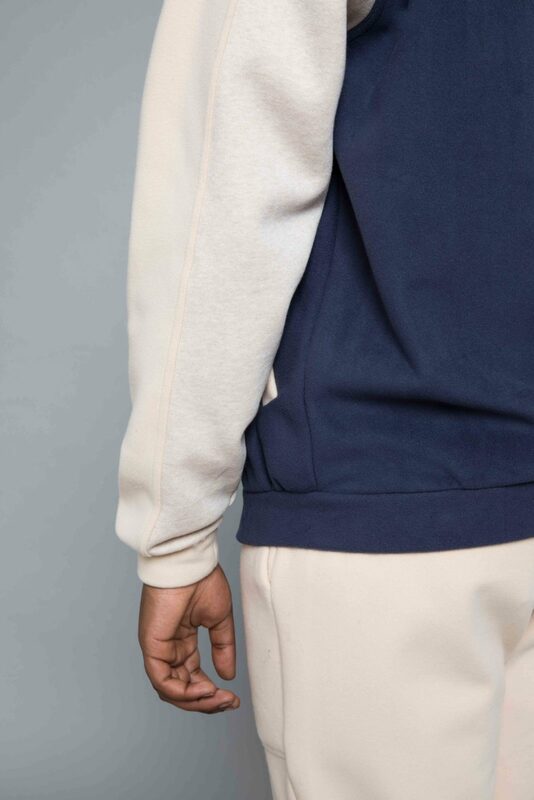 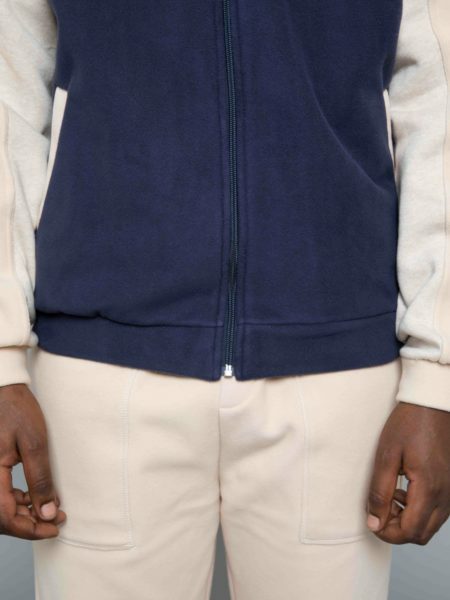 Drole de Monsieur Polar Track Jacket Beige is cut from a Heavy Polar fabric, relaxed cut. 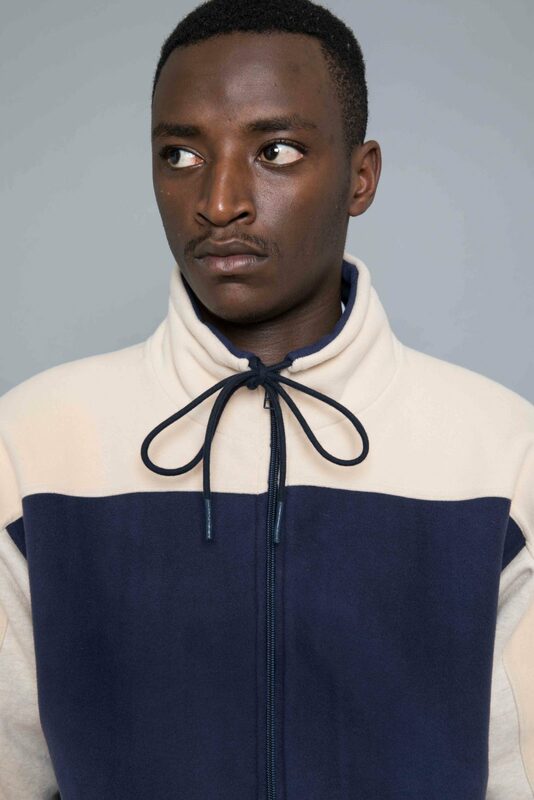 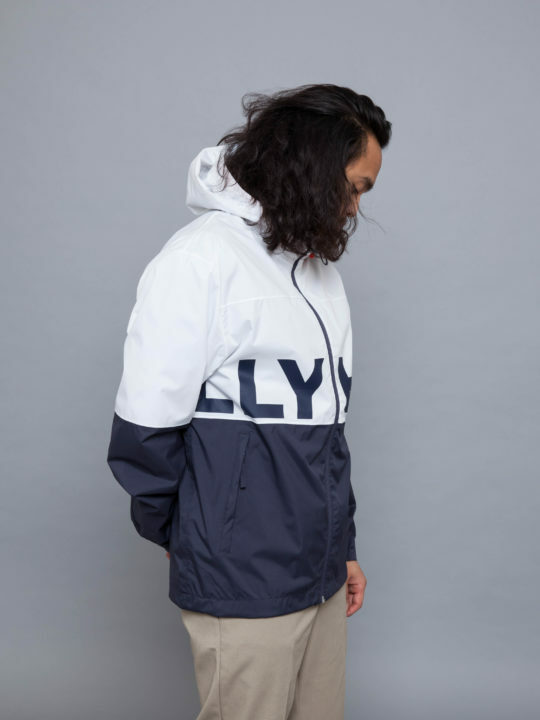 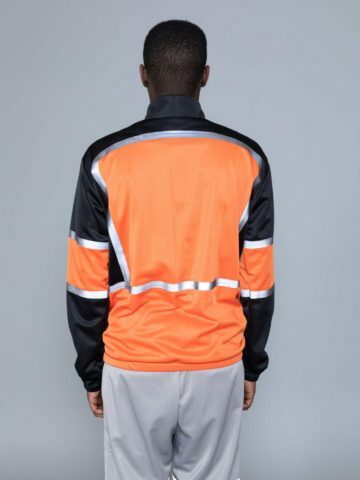 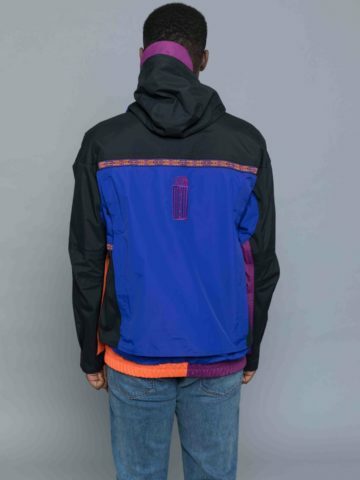 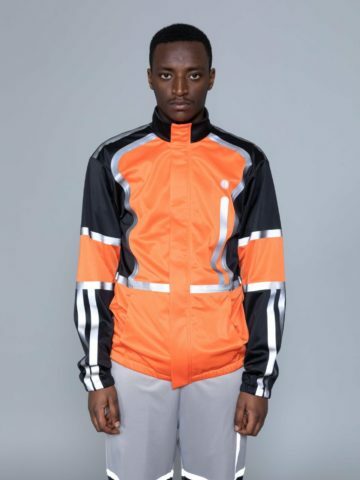 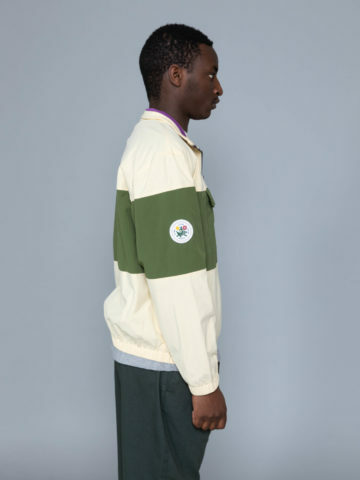 Track jacket with adjustable funnel neck and a serious retro look. 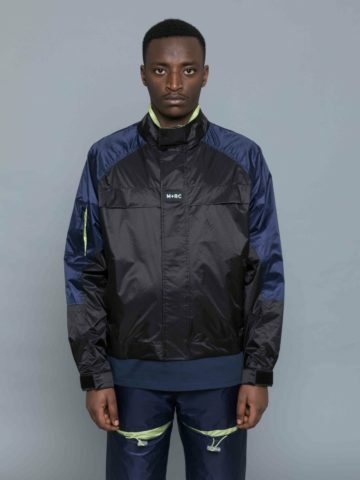 Featuring contrasted fabric under arm pit, zip front closure, stretched cuffs and two side pockets. 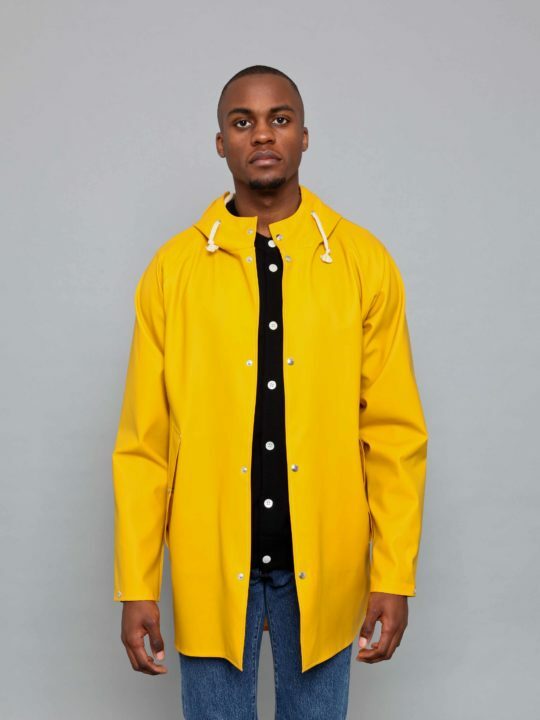 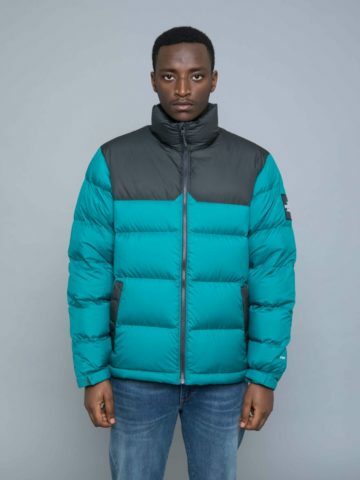 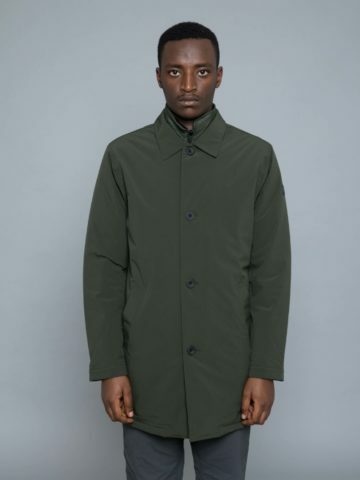 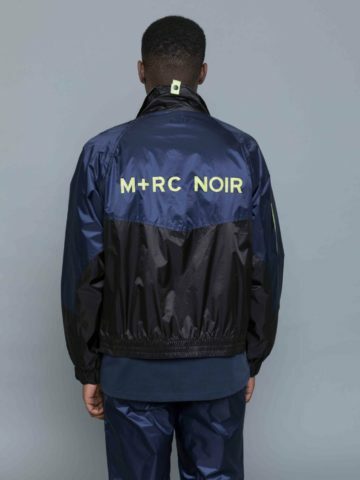 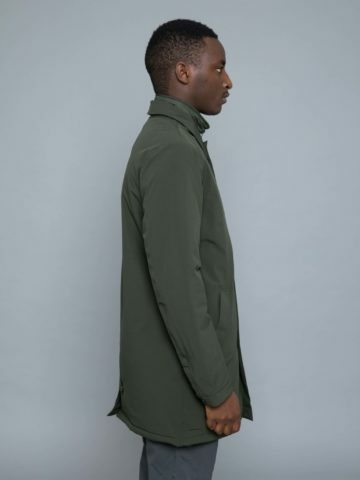 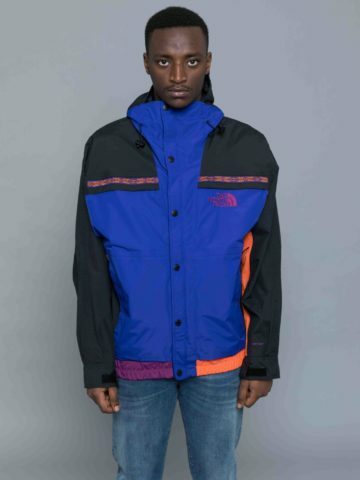 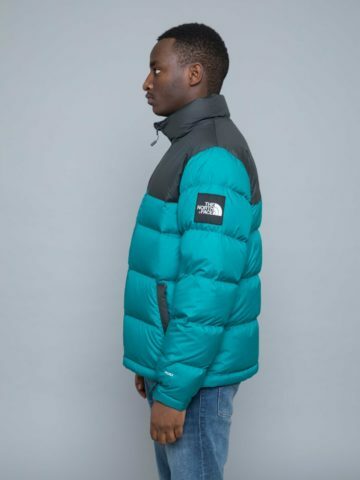 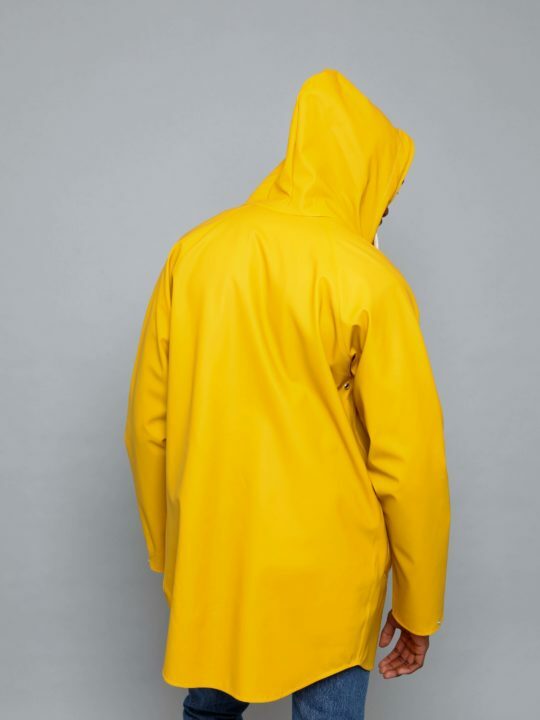 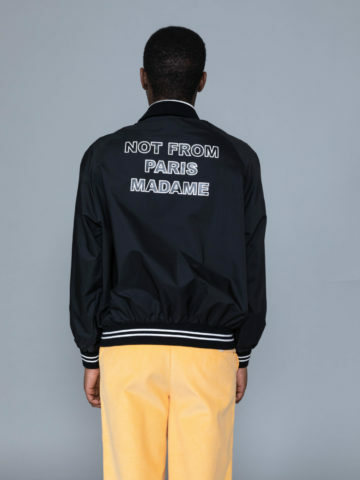 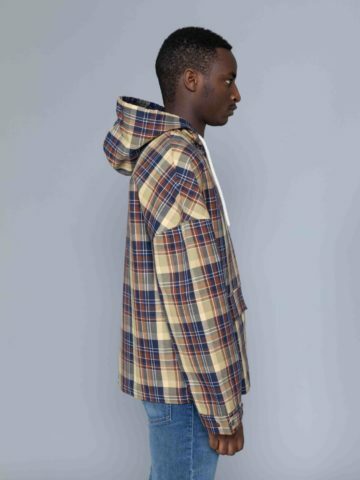 Categories: Drôle de Monsieur, Jackets & vests.